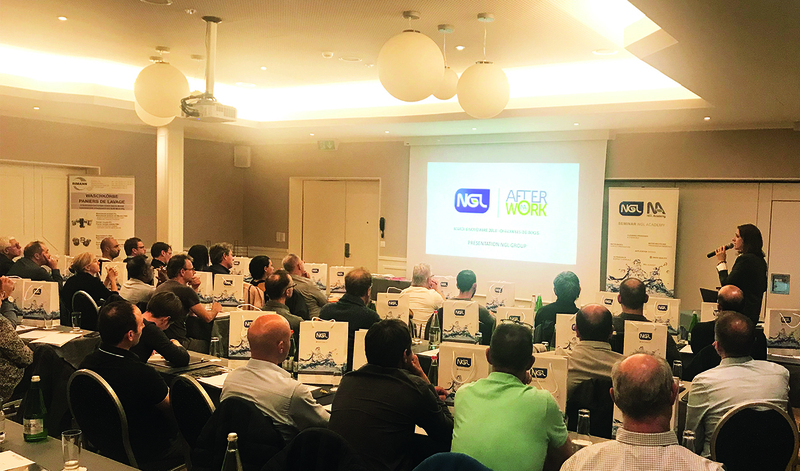 The afterwork event organised by NGL Academy this fall was again a great success thanks to the large participation of customers and prospects in French-speaking Switzerland. The theme chosen was cleaning using polishing pastes in the watchmaking and medical industries. This activity is difficult to manage in companies because of a large number of factors influencing the final result. Stakeholders from the industry reported on their experiences in improving techniques and understanding of good polishing practices. 1. “Discovery of polishing”, presented by Mr José Berenguer, Polishing Instructor at WOSTEP Foundation, let us understand the best practices for excellent polishing. The speaker highlighted the polishing paste-base pair allowing us to optimise results, especially with personalised pastes and bases. The speaker emphasized the different techniques related to polishing, materials, tools and machines to optimize the result. 3. The importance of choice, not just of the quality of the water used, but also the best adapted chemical process, was approached by Mrs Aurélie Borruto, Technical Director of the NGL group. Apart from presenting the fundamentals of cleaning with detergent, a Tips and Tricks page highlighted the practical solutions available to better manage processes, followed by a “water treatment” section, presented by Dr. Félicien Mazille – Manager of the NGL Water Treatment Division, highlighted the concrete solutions available for better management of waste water containing polishing compounds, thanks to NGL technologies developed, either by physico-chemical treatment or by evapo-concentration. 4. Mr Thomas Letissier, Production Manager, at G&F CHÂTELAIN SA, involved us in his experience as an industrial and perfectly illustrated how important training staff and tracing facility upkeep by way of a logbook are for the durability of a physico-chemical process. In charge of cleaning a large range of surfaces made dirty by different pollutants (eg. polishing compounds, varnish, etc. ), this presentation sparked a lot of questions from participants with similar problems. Mr Letissier’s remarks clearly demonstrated that it is essential that company management give the necessary importance to good conditions for managing the cleaning process, especially when it comes to resources in terms of work and training operators. NGL would like to sincerely thank all speakers, participants present at this afterwork, whose success met encourages us to multiply this kind of experience sharing. To know the date of our next afterwork, dedicated to water treatment, follow our news on our website and via LinkedIn.